Our project management consulting services provide our clients with proven solutions that are both effective and cost-efficient. Our PMP certified team has worked in a diverse number of sectors problem solving and producing results that exceed client expectations. Through meticulous project management practices, we ensure your initiative is completed on time, within specifications and on budget. Using a structured approach, we further guarantee that communication flows through to all stakeholders and progress is reported regularly. 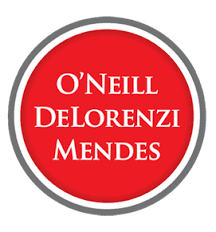 When O’Neill, DeLorenzi, Mendes law firm needed to renovate their office space during the summer, they came to Northstar Consulting to ensure the work was done well and within their tight timeframe. Jason’s Project Management Professional certification was useful in coordinating this project, as he and the team organized schedules and vendors to ensure the work was completed on time, within budget, and according to the firm’s specifications.